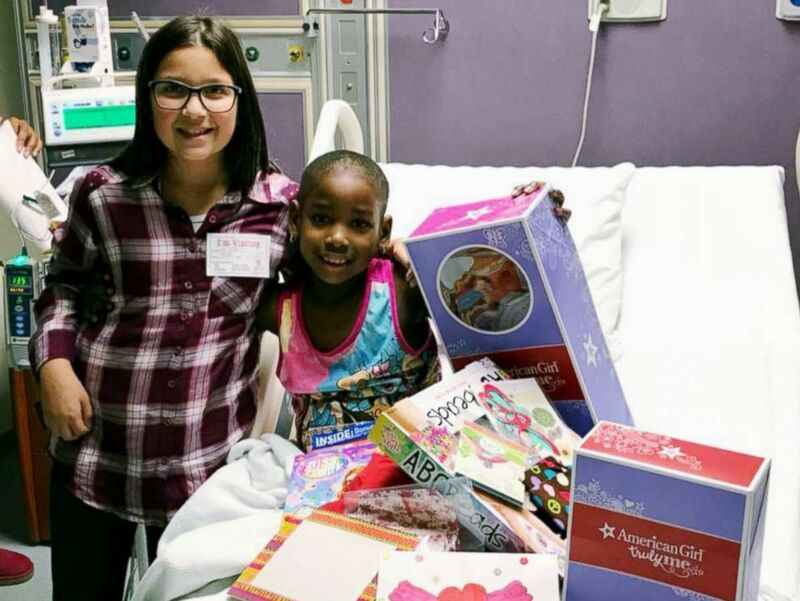 An 11-year-old is spreading smiles by delivering bald American Girl dolls to kids fighting cancer. 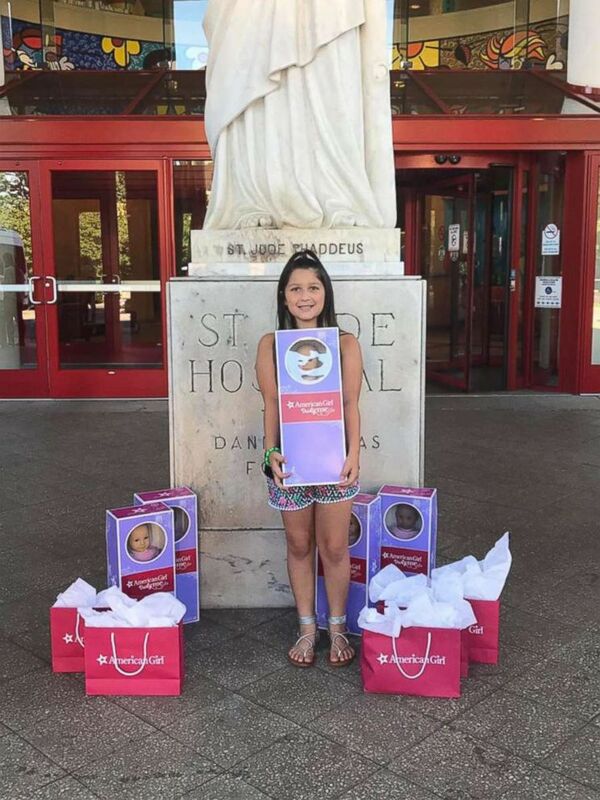 With help from her mom, Bella Fricker, 11, of Alpharetta, Georgia, raises money to buy the dolls and delivers them to hospitalized patients. "I'm very proud of her," mom Valerie Fricker told "Good Morning America." "She loves meeting the little girls and giving them dolls." Fricker, a mom of three, said Bella launched the Peace Love Bracelets Foundation over a year ago. The fifth grader began making bracelets and selling them on Fricker's personal Facebook page. Within a few hours, she raised $300 and was able to purchase three dolls. Bella Fricker, 11, of Georgia, runs her own non profit to raise money for dolls to give to children who are fighting cancer. Bella Fricker, 11, of Georgia, raises money to buy American Girl dolls. She then visits hospitals and gives them to children fighting cancer. "It became so excessive, we couldn't keep up with it," Fricker said, adding that Bella still makes bracelets but has primarily moved on to holding fundraising events. Fricker said Bella developed a desire to help kids with cancer after a friend of hers lost her life after fighting the disease. So far, Bella has gifted 38 dolls to children. She's made visits to St. Jude Children's Research Hospital, Texas Children's Hospital, Texas Scottish Rite Hospital for Children, Children’s Healthcare of Atlanta Egleston in Georgia and more. Nevaeh Williams, a 10-year-old from Atlanta, is currently in remission after fighting a rare cancer called desmoplastic small round cell tumor, or DSRCT. Nevaeh received a bald American Girl doll from Bella in 2017 at Children’s Healthcare of Atlanta Egleston while she was undergoing her second round of chemotherapy, her mother Alana Williams told "GMA." 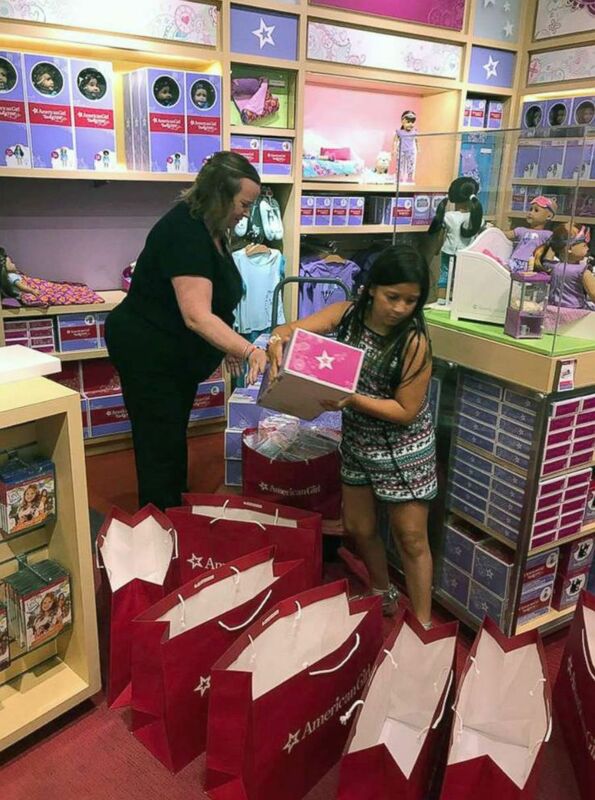 "She has always wanted an American Girl doll and she really needed it in that moment," Williams said. "She brought the doll with her during her treatment and it comforted her." Bella Fricker, 11, is seen in 2017 with Nevaeh Williams, 10, who is currently in remission after fighting a rare cancer called desmoplastic small round cell tumor, or DSRCT. Williams went on, "She's currently six months cancer free. Now that her hair has grown back we'll add hair to the doll." Fricker said Bella is doing a large fundraising event in September and hopes to buy more dolls. 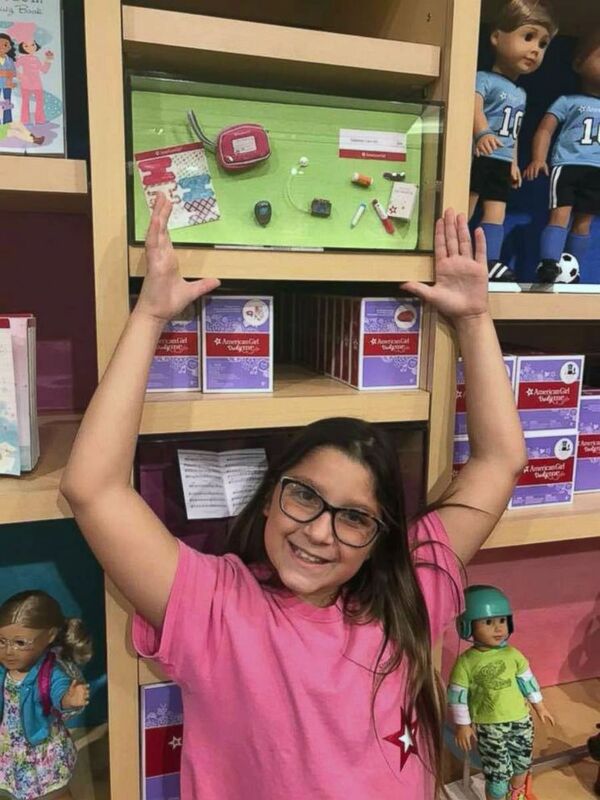 Bella has Type 1 diabetes and would like to give American Girl diabetes care kits, which is made for dolls, to kids who also have diabetes.